The last full week of sheep and lamb sales has seen 2017 finish as it began. Streaking higher. This week saw the Eastern States Trade Lamb Indicator (ESTLI) post a six month high, in spite of a record yarding. There is an old saying in markets. “The best cure for high prices is high prices”. The theory goes that higher prices encourage increases in supply, which in turn sees prices fall. The adage doesn’t seem to apply to lamb markets at the moment. The record December lamb prices have indeed drawn out more lambs. Figure 1 shows east coast MLA yardings in the week to Tuesday staying strong, at 275,231 head. While down on the record yardings of the previous week, supply remains very strong. As we keep saying, the strong supply is not having the normal negative impact on lamb prices. This week the ESTLI gained 26¢ to 661¢/kg cwt (figure 2) a six month high. In fact, the ESTLI is now just 26¢ off the all-time high set back in April. Figure 3 shows part of the reason we have seen rapid price rises at the yards. The rain in NSW has seen tightening direct to works supply, with slaughter lower in the last couple of weeks. Processors have needed to buy up the yards to fill their kills. 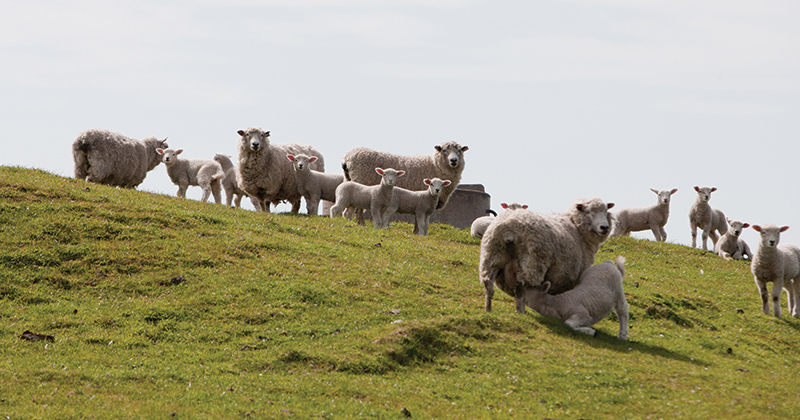 A phenomenal year of lamb and sheep prices is almost over. Figure 2 shows that it has been a rare event for the ESTLI to be below 600¢, and this in a year when supply is likely to finish at a similar level to 2016. In 2016 prices spent just 3 months above 600¢. The December price rise is not unprecedented, the market rallied at the end of 2014 and moved sideways in early January. This year, with lamb supply having been so strong in the spring, there is the chance that the usual strong January demand might be met with tight supply, and the ESTLI might have a tilt at 700¢.